A voluntary recall is underway for Perdue Simplysmart Organics brand Gluten-Free Chicken Breast Nuggets. 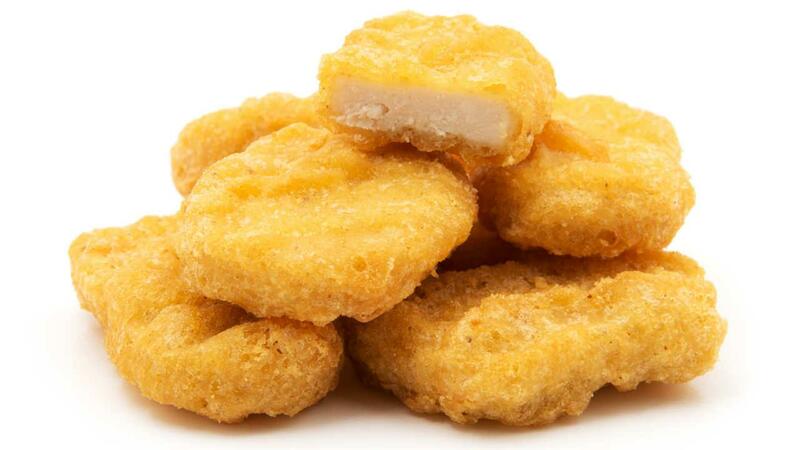 If you buy bags of frozen chicken nuggets, it's time to check your freezers. Perdue has issued a nationwide recall for one of their popular food items. The 22-oz. 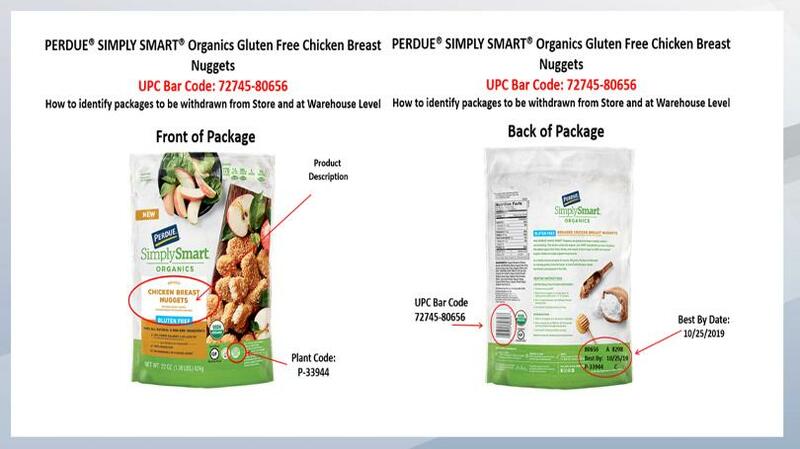 packages of Perdue Simplysmart Organics brand Breaded Chicken Breast Nuggets Gluten Free with a "best if used by date" of 10/25/19 and UPC product bar code of 72745-80656 are being recalled. The package also lists an Establishment number of "P-33944." During quality inspections, a minimal number of these packages were found to have the potential of containing pieces of wood. In Perdue's press release about the recall, they report that this is likely an isolated incident and that no reports of injury have been received yet. The USDA Food Safety and Inspection Service has, however, received three consumer complaints that wood was found in the product. Where are these products being recalled? This is a nationwide recall, and grocery stores are also pulling these items from their shelves. What should I do if I have some of the recalled products? If you have some of the recalled items at home, do not eat them. Call Perdue Foods at (877) 727-3447 to request a full refund. You do not have to go to the store at which you bought the products. Consumers with additional questions can also go to the USDA FSIS website and "ask Karen" at AskKaren.gov. This Q&A service is hosted by the FSIS and is available 24 hours a day. Consumers may also call the USDA Meat and Poultry Hotline at (888) 674-6854 or go to the online Electronic Consumer Complaint Monitoring System. For more information about this voluntary recall, visit the Perdue website or the USDA website. **All photos in this article are courtesy of Perdue. Do you have some of the recalled items? How was the refund request process? Tell us about it in the comments below.